The Rohn RAL09 is an anchor base for Rohn RSL towers. 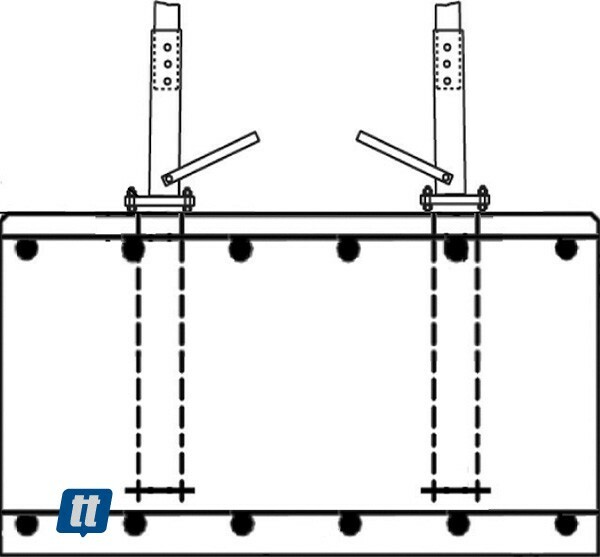 Includes full-size template, anchor bolt lower template, anchor bolts and leg stubs. Base design utilizes double lower nuts to allow for leveling. Required concrete footing size is 9'9" x 9'9" x 4'4" (15.3 cu. yds.). PLEASE NOTE: This item is drop shipped directly from the factory to save you money. Typical delivery time runs approximately 3 weeks.